Reza has defended his PhD and is back in Indonesia at the Faculty for Social Sciences of the University of Indonesia. You can still reach him by his email address. 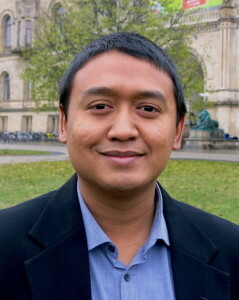 Reza Fathurrahman is a PhD fellow at the University of Hannover (Germany) sponsered by a DAAD-DIKTI scholarship. He is working on a PhD on administrative reforms in Indonesian provinces in comparison. He received his MA in Public Policy from the University of Erfurt in 2012 and his BA in Psychology from the University of Padjadjaran, Indonesia, in Psychology in 2008.